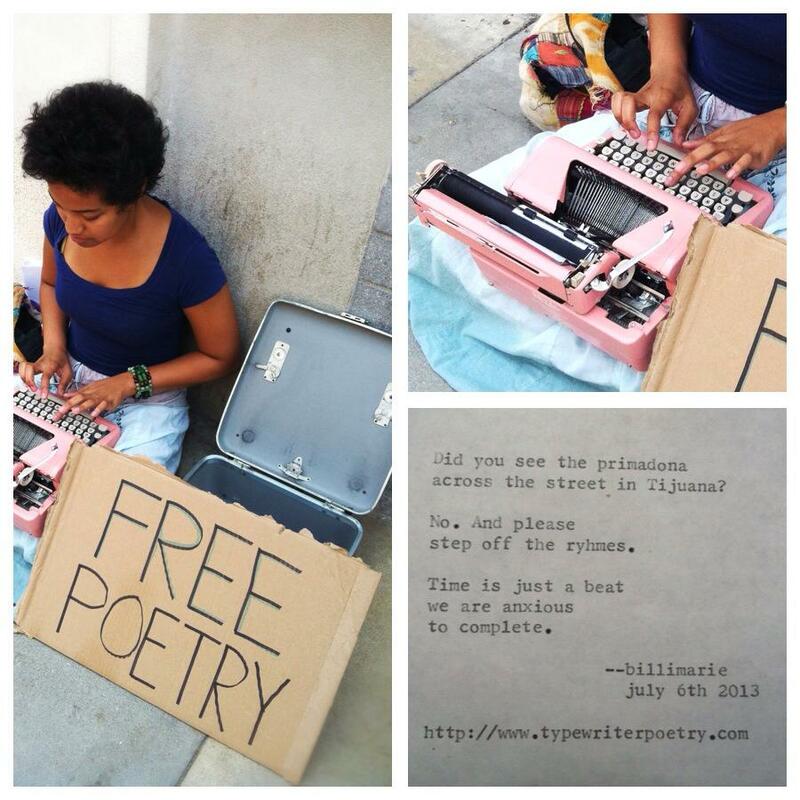 Typewriter Poetry (billimarie) photographs taken by Jeff. A little while ago, I found the time to do Typewriter Poetry. I was headed to Venice by bus, but got off near the Promenade to refill my water. While walking down an alley, I spotted a mint condition cardboard box. Tore it up, Sharpie’d it down, and ended up settling down near 3rd Street instead. Here’s a poem I typed for Jeff. Can you spot the typos? 🙂 He was kind enough to share the photos he took. Thanks again, Jeff! across the street in Tijuana? we are anxious to complete. Oh, that is just beautiful! I really love the spirit of your work, billimarie. I so dig your photographs too! Thanks for stopping by, Arna!